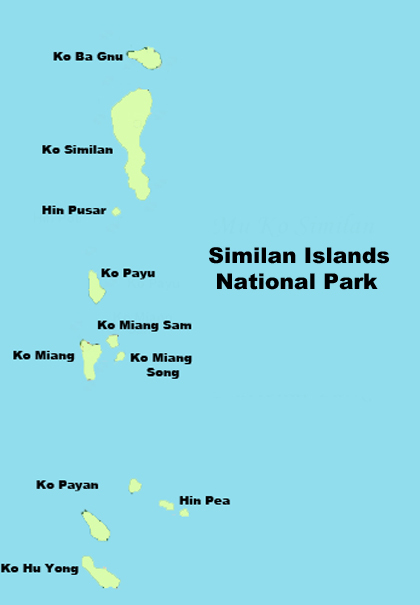 The Similan Islands are a National Park and are located about 55 miles NW of Phuket. 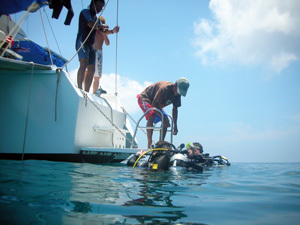 It is considered the best place in Thailand for scuba divers. The park covers 140 square kilometres in total, 14 of those being land in the shape of an archipelago consisting of nine islands. They are Ko Bon, Ko Bayu, Ko Similan, Ko Payu, Ko Miang (two adjoining islands), Ko Payan, Ko Payang, and Ko Huyong. For simplicity they are often referred to by their number instead - 1 through 9 starting from the south. Recently, the park was expanded to include the two remote islands Ko Bon and Ko Tachai. To give nature a rest, the park is closed between May and October. From the Similans to Ko Bon it is about 3 - 4 hours, to Ko Tachai about 4 - 5 hours to sail. From Ko Bon to Richelieu Rock is about another 5 - 7 hours. 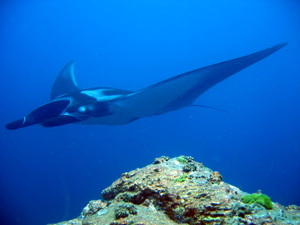 Charter your Private Sailing Yacht for a Scuba Diving Holiday in the Similan National Park Thailand. Only private overnight sailing trips possible due to the remoteness of the islands. The Similan Islands are an excellent destination for a relaxed Sail and Scuba Dive Holiday in Phuket Thailand.